Ben Brown admits some good players are going to be disappointed when he names the Sussex side to face Leicestershire in their Specsavers County Championship opener at Hove tomorrow (Friday 5 April). Apart from Jofra Archer, who is playing in the Indian Premier League (IPL), skipper Brown has a full-strength squad to choose from, his options having increased earlier this week when Pakistan’s highly-skilled left-arm seamer Mir Hamza arrived ahead of schedule. Last season’s leading wicket-taker Ollie Robinson is fit after recovering from hip surgery last October and South African batsman Stiaan van Zyl is also ready to go after a knee problem wrecked his second season at the club. “There is really healthy competition and the guys who are chosen know that if they aren’t performing there are others ready to come in and take their place. Brown was a strong critic of some of the pitches he encountered last season, particularly away from Hove, but he expects a better-balanced contest between bat and ball this season. Teams are once again allowed to use the heavy roller between innings and the Dukes ball, which is being used in the County Championship, has a slightly flatter seam. He added: “I thought it was extremely tough for batsman last year. If you are a top order batsman who averaged 30 or so then I think you had a good season. 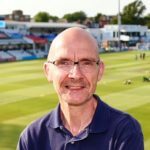 We threw quite a few youngsters in last year – Phil Salt, Tom Haines, Harry Finch – and with a year’s experience under their belt and the change in regulations it should be a bit easier for batsmen. Initially at least, those players here deserved to be backed. Brown admits there won’t be a better year to get back into Division One with three teams being promoted. If the experts are to be believed, the trio will come from Sussex, Middlesex and relegated pair Lancashire and Worcestershire.